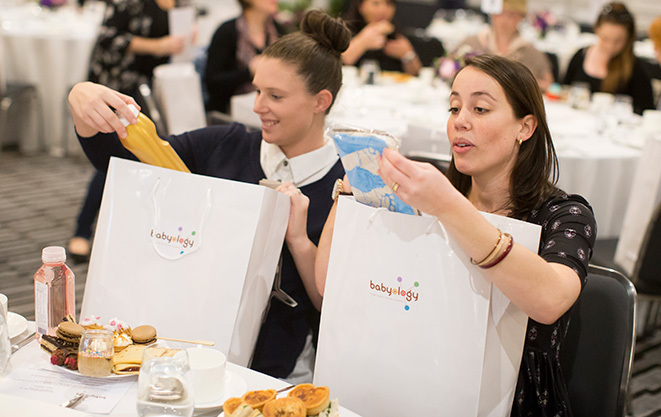 We have gifts in the bag at our Melbourne Babyology Baby Shower High Tea! 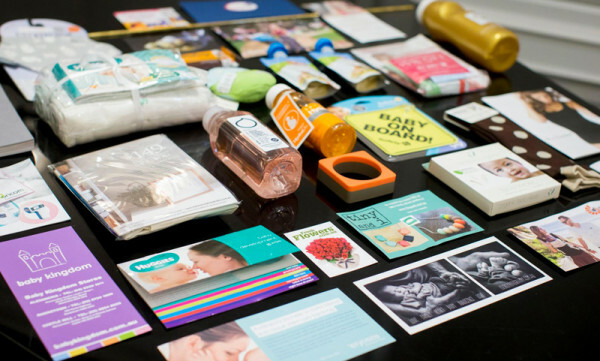 Revealing our Babyology Baby Shower High Tea prizes is always a big deal, after all who doesn’t want to be in with a chance to win a major prize? But did you know that every ticket holder goes home with a gift bag of their own, valued at an estimated $200? Consider it our gift to you. 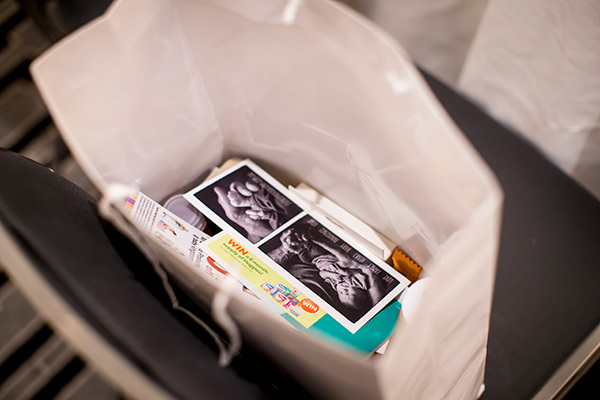 Click on through to reveal what’s in the gift bag for our upcoming Melbourne Baby Shower High Tea. From the fantastic folk at Ergobaby, a 30 per cent off Ergobaby gift voucher. A sweet offer from iCandy, including a voucher for a free Raspberry accessory and candy confectionery. From Les Folies, a cute Sofie the giraffe keyring. A Safety 1st Window Blind Cord Windup from Tiny Love. From Closer to Nature, Tommee Tippee Closer to Nature Breast Milk Pouches. Household favourites Huggies Nappies and Huggies Baby Wipes is giving you each of you a Huggies essential baby pack. Free seven year cord blood storage upgrade, valued at $350 from Stemlife. A Baby on Board sign from car safety giant, Britax. Treat yourselves with fresh flowers with a 20 per cent off voucher from FreshFlowers.com.au. Ready To Serve food pouches from Bellamy’s Organic. Fab Iron sample and a Fess bib from Care Pharmaceuticals..
From Nature’s Child, an organic cotton face washer. Jack N’ Jill Natural toothpaste and toothbrush. Wild Child cradle cap, eczema cream and baby balsam products. Capture the baby magic with a discount voucher for Artist Photography. From the Stuck on You team, a Bag Tag and $10 gift voucher. A Top to Toe sample from Johnson’s – the ­ bath wash ideal for newborns. A tasty Vanilla Blueberry Bar from Food For Health, great for on the go. A super cute bib from Funky Giraffe. From Flat Out Mum, a Very Valuable Vouchers booklet. As you can see, that’s quite an impressive haul! If you don’t already have your ticket, be quick to book as there’s only a handful of tickets remaining and we don’t want you to miss out. You can book by calling the InterContinental Melbourne The Rialto on 03 8627 14008 and quoting ‘Babyology Baby Shower High Tea’. The cost is $79 per person. The event will be held on Sunday, August 23 in the InterContinental’s luxurious Laneway Rooms, with two sittings – 12pm to 2pm, or 3pm to 5pm. We will see you there!